The Overall Lab founded the field of ‘degradomics’. Degradomics is the application of genomic and proteomic techniques to determine protease and protease-substrate repertoires—or ‘degradomes’—on an cell, tissue and organism-wide scale. The Overall Lab has developed world-leading innovative quantitative proteomic techniques to enrich and identify proteolysis products in vivo. This awareness and understanding derived from application of “omics” technologies to complex biological systems has revolutionized the understanding of the roles of proteases and matrix metalloproteinases (MMP) in particular, in physiological and pathological processes in vivo. For technical reasons protein cleavage is opaque to conventional proteomics, which limits functional insight. Therefore, to specifically enrich for mature protein N-termini and neo-N-termini of proteins we utilize 4-8plex iTRAQ and 10plex TMT TAILS (Terminal Amine Isotopic Labeling of Substrates) (Nature Biotech 28, 281-288 (2010); Nature Protocols 6, 1578-1611 (2011). Using quantitative proteomics information determined through TAILS, our lab’s signature approach, the protein substrate and the exact cleavage site are determined in the same analysis. By analyzing all N-termini, the original mature N terminus of a protein together with protease generated neo-N termini, the N-terminome of the tissue is elucidated. By then analyzing all quantifiable peptides that change in abundance significantly between samples, protein expression and new protease substrates are identified. On a global scale this generates the proteolytic signature of the tissue. The proteolytic signature can be used to identify protease networks in vivo that are operative in the system under study and to identify new disease biomarkers, with the advantage of being mechanistically informative. Resultant new drug targets and new clinical tests for early, accurate patient diagnosis can thereby by translated. We now aim to develop clinically relevant system-wide knowledge of inflammation in humans in vivo e.g., in response to bacterial infection in placental chorioamnionitis and periodontal diseases, in viral infection, in chronic inflammatory diseases, e.g., arthritis and periodontitis, and in tumor-associated inflammation. In analyzing the N-terminome of normal human tissues we have revealed the unexpected finding that 50-75% of proteins in vivo start at N-termini that are not as annotated in UniProt. Rather, the N-termini of protein chains in vivo can commence at many points C terminal to the predicted start site and result from proteolytic processing to generate stable protein chains: Proteolytic processing generates new protein species with characteristic neo-N termini that are frequently accompanied by altered half-lives, function, interactions and location. To identify and understand the function of all proteins in the human body and to map the human proteome on a disease-centric and chromosome-centric basis, the international HUPO consortium was formed. By knowing all the proteins and their interactions and roles in pathways, knowledge will be gained about the fundamental ways cells and tissues function. Thus, our studies of human disease have the added value of contributing highly desired and unique knowledge of human protein N-termini to the Human Proteome Project (HPP) of HUPO. Proteolysis alters the protein sequence and results in neo-N termini and hence novel semi-tryptic N-terminal peptides upon tryptic digestion proteomics. We hypothesized that some N terminal semi-tryptic peptides will exhibit beneficial m/z, ionization and fragmentation properties over their fully tryptic counterparts, rendering these peptides and cognate proteins identifiable. Hence, identifying in vivo cleavage sites in the proteome by all active proteases present in the tissue identifies protein speciation and also obtains proof for the expression of ‘missing proteins’, particularly if rare tissues and cells are analyzed. In our HPP project, “Termini Orientated Proteomics-Human Amino Terminome” (TOP-HAT), we have identified >80 missing proteins in less commonly studied cells e.g. erythrocytes, platelets, placenta, gingiva, dental pulp and lymphocytes. Recently we found that an extracellular protease (MMP12) secreted from macrophages targets virus-infected target cells where it segues to the nucleus (Nature Medicine 20, 493-502 2014). Here MMP12 acts as a transcription factor and cleaves intracellular substrates that are essential for IFN-alpha secretion and antiviral immunity. Hence, by proteomically identifying proteolytic networks by TAILS and their actions on signaling and cytokine pathways in cancer, inflammation, and infection we have uncovered remarkable roles for proteases inside, outside and outside-to-inside the cell. Since 2007 we have disseminated our findings in 107 papers, including 10 in Nature Journals, Science Journals and 2 invited reviews in high impact Nature Review journals, and by 88 invited plenary talks at conferences and 59 invited seminars. Since 2007 20 post-doctoral scientists, 6 Ph.D. and M.Sc. students, 2 undergraduate thesis projects, and 8 Work-Study undergraduates have been trained in the Overall Lab. Since 2000, 8 post-doctoral trainees and 3 graduate students have held international or national fellowships and scholarships. Our trainees are encouraged to present at national and international meetings and since 2000 Overall Lab trainees have presented 219 talks and posters and of the 37 trainees in my lab at UBC, 31 of whom remain in science: 2 are Departmental Chairs, 4 are Full or Associate Professors, 4 are Assistant Professors or equivalent, 8 are scientists in industry, and 13 are at the next stage in training, e.g., Ph.D., post-doctoral fellows or research associates. The Overall Laboratory has helped shape the current view of MMPs as key regulators of multiple signaling pathways that are integral to innate immunity rather than just dowdy degraders of the extracellular matrix (Butler & Overall 09 Nature Rev Drug Disc). We were at the forefront in this revision of in vivo roles for MMP with the first use of yeast 2-hybrid substrate screens for protease substrate discovery, that identified chemokines and CCN cytokines as novel MMP substrates (McQuibban et al 00 Science). Next we adapted proteomics for substrate discovery, but soon recognized inadequacies for the specialized tasks of substrate and cleavage site identification (López-Otín & Overall 02 Nature Rev Mol Cell Biol; Overall & Blobel 07 Nature Rev Mol Cell Biol). So, we initiated the new field of degradomics in 2000 to describe all genomic and proteomic investigations of proteases, their inhibitors and substrates. Following this paper in Science (McQuibban et al 00 Science) Dr. Carlos López-Otín (Chair of the 2007 MMP Gordon Research Conference) and Dr. Chris Overall wrote an invited review in Nature Reviews Molecular Cell Biology formally introducing the term degradomics and describing approaches to study proteolysis on a system-wide scale (López-Otín & Overall 02 Nature Rev Mol Cell Biol). 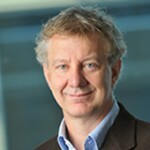 This was updated by another paper in Nature Reviews Molecular Cell Biology, co-authored with Dr. Carl Blobel (Chair of the 2009 MMP Gordon Research Conference), describing proteomic and other innovative techniques to link proteases with substrates (Overall & Blobel 07 Nature Rev Mol Cell Biol). In Nature Reviews Genetics we annotated the complete human and mouse protease and inhibitor degradomes (Puente et al 03 Nature Rev Genetics). We are leading the development of degradomics and its application to protease substrates. Initially, our quantitative proteomics experiments used isotope-coded affinity tags (ICAT) for substrate discovery (Tam et al 04 PNAS; Dean et al 07 Mol Cell Biol) and to analyze effects of MMP inhibitor drugs on cancer cells (Butler et al 07, 08 Mol Cell Biol). We then identified MMP substrates in cell culture (Dean & Overall 07 MCP; Prudova et al 10 MCP; Morrison et al 11 JBC; a.d.-Keller et al 12) using 4- or 8-plex iTRAQ labels. We developed PICS (proteomic identification of protease cleavage sites) (Schilling & Overall 08 Nature Biotech; Schilling et al 11a, b Nature Protocols) to profile the cleavage site specificity of 16 MMPs, most astacins (Becker-Pauly et al 11 MCP) and proteases of 4 classes using our new powerful web-based data processing site, WebPICS (Schilling et al 11), contributing >8000 cleavage sites to MEROPS, the protease database. For identification of the substrate and the precise cleavage site, we developed the effective Terminal Amine Isotopic Labeling of Substrates (TAILS) for proteomics analysis of protease-generated (neo)-N-termini of natural substrates (Kleifeld et al 10 Nature Biotech; Doucet et al 10; Kleifeld et al 11 Nature Protocols). The tryptic peptides of proteomes are selectively removed leaving isotopic-labelled natural and neo-N-termini for MS/MS identification. To do so we patented a new class of polymer that we continue to enhance for proteomics (Beaudette et al 11). To complement N-TAILS we developed C-TAILS to identify the carboxy-termini of substrates and the C-terminome (Schilling et al 11, 10 Nature Methods). TAILS was improved using iTRAQ labels thereby enabling simultaneous analysis of up to 8 samples (Prudova et al 10 MCP). And now 10 samples by 10plex TMT Tags (Klein et al 14). We developed bioinformatics software (CLIPPER) for statistically valid identification of cleavage sites (a.d.-Keller et al 10, 12) and integrated our data into a KnowledgeBase of all protein termini and cleavage sites, TopFIND (Lange & Overall 12, 11 Nature Methods), and mathematically modeled the network of protease cascades and pathways (Fortelny et al 14, PLoS Biology) that interconnect to form the ‘protease web’ (Overall & Kleifeld 06a, Nature Rev Cancer). In validating the new protease substrates, limitations in Edman sequencing of cleavage products in gels triggered the refinement of MALDI-TOF methods for cleavage site identification (Starr & Overall 09) and a new sequencing method for proteins in solution: Amino Terminal Orientated Mass spectrometry of Substrates (ATOMS) (Doucet & Overall 11a,b). Little is known of the key transcriptomic, proteomic, and proteolytic modification differences between the cells and extracellular signaling networks in human disease on a system-wide scale. We have now perfected these approaches for in vivo application and analyzed wild type vs. Mmp-/- mice in a variety of murine models of inflammation including skin (a.d.-Keller et al 13 Science Signaling) and arthritis in Mmp8-/- (Cox et al 10) and Mmp12-/- mice (Bellac et al 14). Thereby, we uncovered beneficial activities of MMPs that dampen inflammation, e.g., inactivation of most CCL monocyte chemokines by MMPs (Starr et al 12a, b JBC), including CCL7 in arthritis (McQuibban et al 00 Science), and of all CXCL PMN chemokines by MMP12 (Dean et al 08 Blood). This stirred our thinking to conceive drug anti-target (Overall & Kleifeld 06 Nature Rev Cancer; Dufour & Overall 13) vs. drug target concepts (Overall & López-Otín 02 Nature Rev Cancer). We also reported that the macrophage secreted MMP12 translocates to the nucleus of viral infected cells, where it binds the IκBα promoter, up-regulating its transcription. IκBα activation was essential for IFNα secretion and survival. MMP12 also clears systemic IFNα, forming a negative feedback loop. This is blocked by a drug we patented that does not cross the cell membrane and thus spares the anti-target activities of MMP12 and so is protective in vivo against viral infection (Marchant et al 14 Nature Medicine). 1. Quancard, J., Klein, T., Fung, S-Y., Renatus, M., Hughes, N., Israël, L., Priatel, J.J., Kang, S., Blank, M.A., Viner, R.I., Blank, J., Schlapbach, A., Erbel, P., Kizhakkedathu, J., Villard, F., Hersperger, R., Turvey, S.E., Eder, J., Bornancin, F., and Overall, C.M. 2019. An Allosteric MALT1 Inhibitor is a Molecular Corrector Rescuing Function in an Immunodeficient Patient. Nature Chemical Biology, doi 10.1038/s41589-018-0222-1. 2. Zeglinski, M.R., Butler, G.S., Overall C.M.^, and Granville, D.J.^ 2019. Therapeutic Modulation of Granzymes and Matrix Metalloproteases: Rerouting Dogma. Nature Reviews Drug Discovery, Invited Review, Submitted. ^Co-Senior Author. 3. Dufour, A., Bellac, C.L, Eckhard, U., Solis, N., Klein, T., Kappelhoff, R., Fortelny, N., Jobin, P., Rozmus, J., Mark, J., Pavlidis, P., Dive, V., Barbour, S.J., and Overall, C.M. 2018. C-Terminal Truncation of IFN-γ Inhibits Proinflammatory Macrophage Responses and is Deficient in Autoimmune Disease. Nature Communications 9: 2416, 1–18. doi: 10.1038/s41467-018-04717-4. 4. Klein, T., Eckhard, U., Dufour, A., Solis, N., and Overall, C.M. 2018. Proteolytic Cleavage—Mechanisms, Function, and “Omic” Approaches for a Near-Ubiquitous Posttranslational Modification. Chemical Reviews 118, 1137-1168. [IF47.93]. 6. Eckhard, U., Bandukwala, H., Mansfield, M.J., Marino, G., Cheng, J., Wallace, I., Holyoak, T., Charles, T.C., Austin, J., Overall, C.M. *, and Doxey, A.C.* 2017. Discovery of a Proteolytic Flagellin Family in Diverse Bacterial Phyla that Assembles Enzymatically Active Flagella. Nature Communications 8:521, 1-9. DOI: 10.1038/s41467-017-00599-0. * Joint Shared Senior Authors. 7. Fortelny, N., Butler, G.S., Overall, C.M. * and Pavlidis, P.* 2017. Protease-inhibitor Interaction Predictions: Lessons on the Complexity of Protein-protein Interactions. Molecular Cellular Proteomics 16.6, 1038-1051, *Joint Shared Senior Authors. Featured Editors Pick. 11. Huesgen, P.F., Lange, P.F., Rogers, L.D., Solis, N., Eckhardt, U., Kleifeld, O., Goulas, T., Gomis-Rüth, F.X., and Overall, C.M. 2015. LysargiNase Mirrors Trypsin for Protein C-Termini and Methylation Sites Identification. Nature Methods 12, 55-58. 12. Fortelny, N., Yang, Sh., Pavlidis, P., Lange, P.F., and Overall, C.M. 2015. Proteome TopFIND 3.0 and TopFINDer: Database and Analysis Tools for the Association of Protein Termini to Pre- and Post-translational Events. Nucleic Acids Research 43 (Database issue), D290-297. 13. Bellac, C.L., Dufour, A., Krisinger, M.J., Roberts, C.R., Loonchanta, A., Butler, G.S., Starr, A.E., Lange, P.F., auf dem Keller, U., Goebeler, V., Kappelhoff, R., Burtnick, L.D., Conway, E.M., and Overall, C.M. 2014. Macrophage Matrix Metalloproteinase-12 Dampens Inflammation and Neutrophil Influx in Arthritis. Cell Reports 9,618-632. 15. Marchant, D.J., Bellac, C., Moraes, T.J., Wadsworth, S.J., Dufour, A., Butler, G.S., Bilawchuk, L.M., Hendry, R.G., Robertson, A.G., Cheung, C.T., Ng, J., Ang, L., Luo, Z., Heilbron, K., Norris, M.J., Duan, W., Bucyk, T., Karpov, A., Devel, L., Georgiadis, D., Hegele, R.G., Luo, H., Granville, D.J., Dive, V., McManus, B.M., Overall, C.M. 2014. A new transcriptional role for matrix metalloproteinase-12 in antiviral immunity. Nature Medicine 20, 493-502. doi 10.1038/nm.3508. (Featured Article in News and Views). 16. auf dem Keller, U., Prudova, A., Eckhard, U., Fingleton, B., and Overall, C.M. 2013. Systems-Level Analysis of Proteolytic Events in Increased Vascular Permeability and Complement Activation in Skin Inflammation. Science Signaling 6, rs2, 1-15: DOI: 10.1126/scisignal.2003512. 17.Dufour, A. and Overall, C.M. 2013. Missing the Target: Matrix Metalloproteinase Anti-Targets in Inflammation and Cancer. Trends in Pharmacological Sciences 34, 233-242. Invited Review (Cover Photo). 18. Lange, P. and Overall, C.M. 2011. TopFIND, a Knowledgebase Linking Protein Termini with Function. Nature Methods 8, 703-704. 19. Kleifeld, O., Doucet, A., Prudova, A., auf dem Keller, U., Gioia, M., Kizhakkedathu, J., and Overall, C.M. 2011. System-Wide Proteomic Identification of Protease Cleavage Products by Terminal Amine Isotopic Labeling of Substrates. Nature Protocols 6, 1578-1611. 20. Schilling, O., Huesgen, P.F., Barré, O., auf dem Keller, U., and OveralI, C.M. 2011. Characterization of the Prime and Non-Prime Active Site Specificities of Proteases by Proteome-derived Peptide Libraries and Tandem Mass Spectrometry. Nature Protocols 6, 111-120. 21. Schilling, O., Barré, O., Huesgen, P.F., and Overall, C.M. 2010. Proteome-wide Analysis of Protein Carboxy Termini: C Terminomics. Nature Methods 7, 508-511. Featured in C&EN. 22. Kleifeld, O., Doucet, A., auf dem Keller, U., Prudova, A., Schilling, O., Starr, A., Foster, L.J., Kizhakkedathu, J.N., and Overall, C.M. 2010. Isotopic labeling of Terminal Amines in Complex Samples Identifies Protein N-termini and Protease Cleavage Products. Nature Biotechnology 28, 281-288. 23. Butler, G.S. and Overall, C.M. 2009. Proteomic Identification of Multitasking Proteins in Unexpected Locations Complicates Drug Targeting. Nature Reviews Drug Discovery 8, 935-948. 24. Schilling, O. and Overall, C.M. 2008. Proteome-derived Database Searchable Peptide Libraries for Identifying Protease Cleavage Sites. Nature Biotechnology 26, 685-694. 25. Overall, C.M. and Blobel, C.P. 2007. In Search of Partners: Linking Extracellular Proteases to Substrates. Nature Reviews Molecular Cell Biology 8, 245-257. 26. Wolf, K., Wu, Y.I., Liu, Y., Geiger, J., Tam, E., Overall, C.M., Stack, M.S., Friedl, P. 2007. Multi-step Pericellular Proteolysis Controls for the Transition from Individual to Collective Cancer Cell Invasion. Nature Cell Biology 9, 893-904. 27. Overall, C.M. and Kleifeld, O. 2006. Validating MMPs as Drug Targets and Anti-targets for Cancer Therapy. Nature Reviews Cancer 6, 227-239. 28. Tam, E.M., Morrison, C.M., Wu, Y., Stack, S., and Overall, C.M. 2004. Membrane Protease Proteomics: Isotope Coded Affinity Tag/Tandem Mass Spectrometry Identification of Undescribed MT1-MMP Substrates, Proceedings National Academy of Sciences U.S.A. 101, 6917-6922. 29. Puente, X.S., Sanchez, L.M., Overall, C.M., and López-Otín, C. 2003. Human and Mouse Proteases: A Comparative Genomic Approach. Nature Reviews Genetics 4, 544-558. 30. Zhang, K., McQuibban, G.S., Silva, C., Butler, G.S., Johnston, J.B., Holden, J., Clark-Lewis, I., Overall, C.M. *, and Power, C.* 2003. HIV-Induced Metalloproteinase Processing of the Chemokine SDF-1 Causes Neurodegeneration. (*Joint Senior Authors) Nature Neuroscience 6, 1064-71. 31. Balbín, M., Fueyo, A., Tester, A.M., Pendás, A. M., Pitiot, A.S., Astudillo, A., Overall, C.M., Shapiro, S. and López-Otín, C. 2003. Loss of Collagenase-2 Confers Increased Skin Tumor Susceptibility to Male Mice. Nature Genetics 35, 252-257. 32. López-Otín, C. and Overall, C.M. 2002. Protease Degradomics: A New Challenge for Proteomics. Invited Review. Nature Reviews Molecular Cell Biology 3, 509-519. 33. Overall, C.M. and López-Otín, C. 2002. Strategies for MMP Inhibition in Cancer: Innovations for the Post-Trial Era. Invited Review. Nature Reviews Cancer 2, 657-672. 34. McQuibban, G.A., Gong, J.-H., Tam, E., McCulloch, C.A.G., Clark-Lewis, I., and Overall, C.M. 2000. Inflammation Dampened by Gelatinase A Cleavage of MCP-3. Science 289, 1202-1206.